the company that NHL teams and rinks use, paint the ice for a brighter, more professional surface. 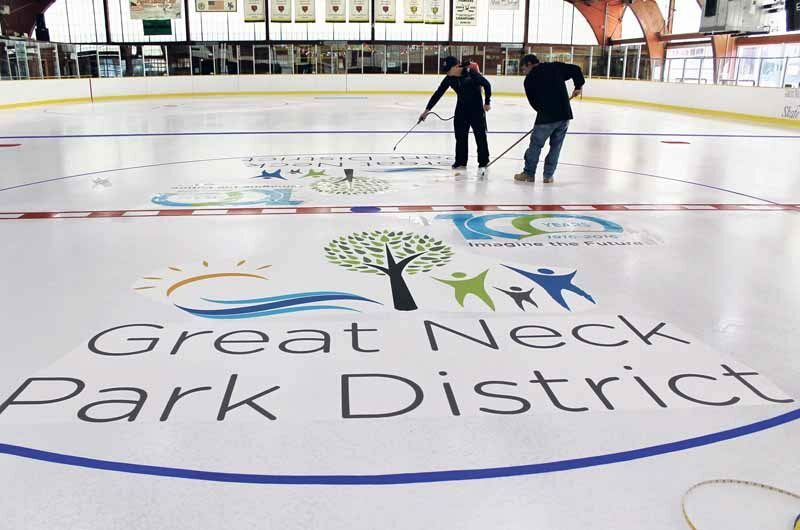 Whether you skate for recreation, exercise or competition, the Great Neck Park District’s Andrew Stergiopoulos Ice Rink, which just opened for the season, offers one of the largest municipal skate programs in the entire country and boasts that it has the best ice on Long Island, since it uses Jet Ice, the same company that National Hockey League teams and rinks use, to paint the ice. The rink provides a variety of recreational activities for skaters of all ages and levels with programs that are fun for the whole family. The offerings include classes for beginners through advanced, including private and group lessons for adults and children as well as classes for little ones with their parents, under the instruction of professional staff that teaches the curriculum of the United States Figure Skating Association (USFSA). Plus, freestyle sessions are available for advanced skaters looking for extra practice time as are synchronized skate and hockey programs. Programs range from the beginner Synchronized Skate team for ages 6 to 9, in which skaters learn the basics, to more advanced skaters ages 7 to 12, as well as two USFSA travel teams, which require a tryout. No experience is necessary for the in-house Bears Hockey teams, which caters to children ages 5 to 12 who want to learn ice hockey in a stress-free, fun environment. A travel hockey program is also offered and requires skaters to tryout. 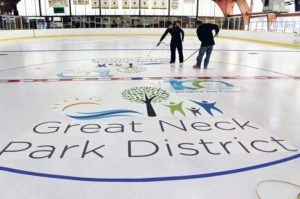 The Andrew Stergiopoulos Ice Rink is home to Great Neck’s own 2002 Olympic Gold Medalist, Sarah Hughes, and her sister, Emily Hughes, also an Olympic, World and National skater, who both grew up training and performing at the rink. Sarah has recently taken an active role supporting the Great Neck Park District’s Therapeutic Skating program. A supervised Teen Night is offered at the rink every Friday from 8 to 10 p.m., when teens can have fun on or off the ice, as they enjoy music and special club-like lighting. The heated lounge offers Wi-Fi, a TV and a snack bar that serves a wide selection, including hot chocolate that guests can sip as they warm up by the fireplace. The rink is also a great place to host a birthday party (call 516-829-4323 for more information). Open year-round, the S&A Pro Shop next to the lounge offers everything for skating and tennis needs, including professional skate sharpening, rivet repair, stretching and boot punching, skate baking and custom-radius skate profiling as well as tennis-racket stringing and grip repair. The shop also carries hockey and figure skating apparel and equipment (reach the Pro Shop at 516-304-5543). A Rink Season Pass is available to families, adults, children and seniors. An adult resident with a current park card can purchase a Season Pass for $200. A 10-Session Pass is also available (call 516-487-2976 for more information about skating programs and admission fees).